Sausalito filmmaker Joan Lisetor wrote and produced the 45 minute collage of interviews, still photos and historic film footage. It is the personal stories of four Marinship workers and residents of Marin City - Rodessa Battle, Annie Small, Ollie Hector and Lee Oscar White. A nonfiction historic 60 minute documentary video written and produced by Eric J. Torney. It tells the story of Marinship from the initial request for construction in March,1942 to end of operations in 1945 when the Japanese surrendered and WWII ended. The speakers are Marin City children depicting the creation of Marinship and the subsequent construction of Marin City to house the workers, many of them black and from the South. This is a dramatic documentary with humor, dance and music that celebrates the people, most of them poor, who left their homes to help their country and became the founders of Marin City. The play reaches back more than 60 years through the memories of those who were there to bring to life a different time, when the nation was hurriedly trying to assemble the wherewithal to fight a war in Europe and the Pacific. Re-produced under the joint cooperation of Performing Stars and the Marin Theater Company. Featuring a Liberty Ship Float, a 1940's Greyhound bus, the Oakland Cowboy Association, and original Marinship workers as Grand Marshalls. 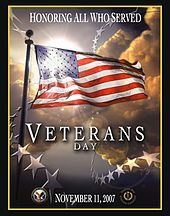 Parade participants will be representatives of the Military branches and Marin City Veterans plus their families and local youth groups. The CA Highway Patrol and Marin Co. Sheriff's and Fire Departments will also be represented. To continue the celebration of the 75th anniversary of the opening of the Marinship shipyard, excerpts from the radio show, "TurnYour Radio On" –originally presented at the Sausalito Woman’s Club in May- will be presented. The People of Marinship -Who They Were, Where They Came From, What They Did, and How They Did It. Story boards and captions will tell the history of the people who worked at Marinship and some of their stories. Many unique and interesting features of life at the shipyard will be explained using a collection of iconic images from the SHS Archive. Way commissioned by the VA. The September 30, 2017 Floating Homes Tour will be themed “Homefront on the Waterfront,” tying in to the 75th Anniversary of Marinship, which helped to foster today’s waterfront community. Fifteen unique floating homes will be featured, including a selection built from WWII surplus. Other attractions will include 40s cars and music, plus food and drink for purchase. Visitors and volunteers are encouraged to come in 40s dress. To celebrate the 75th anniversary of the opening of the Marinship shipyard during World War II, the Sausalito Historical Society will present a special "in conversation" program with former Marinship workers C.D. Madsen, Ed Madsen and William Thurman. The program will include a screening of clips from the film "Tanker," which was made after the war by the W.A. Bechtel Company to recognize the accomplishments of Marinship workers. In just three years of operation, the shipyard built 93 Liberty ships and tankers for the war effort. The SHS will have a Marinship75 display in the Tall Ship Tentlocated inside the Sausalito Art Festival entrance. We will be joined by other organizations to educate and promote Sausalito's Maritime Community and show how important they are economically, historically and culturally. Please come in and visit our Exhibit. 20 historic buildings still exist in our Marinship, 75 years later. Join Michael Rex, Eric Torney, John Libberton, Clay Perry along with the Sausalito Historical Society and the Richardson BayMaritime Association in the celebration as they unveil memorial recognition plaques for these buildings. The RBMA has produced a commemorative Victory pin ( similar to the pin given to the shipbuilders as displayed in the Victory poster), as a souvenir of our Marinship75 celebration. Sausalito Village will host a showing of Eric Torney's documentary film on the story of Marinship. Join in the fun as Sausalito celebrates the 4th of July Marinship75 style! 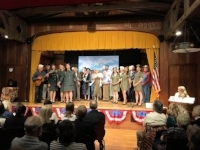 Tune in Friday June 30 at 4PM and Sunday July 2 at 8PM to listen to Radio Sausalito rebroadcast the Sausalito Woman's Club live dramatization of a 1942 radio broadcast. 75 years ago, America turned on its radio sets, and heard Sausalito. A live radio broadcast heard from coast to coast commemorated the opening of the Marinship Plant which changed our community forever and employed 20,000 people through the War. This week on Radio Sausalito, well be reliving this historic broadcast through a live dramatization featuring songs, stories, and comedy! We’ll also rehear the original radio broadcast as it happened in 1942. More than any event in the twentieth century, World War II marked the coming of age of America's West Coast cities. Almost overnight, new war industries prompted the mass urban migration and development that would trigger lasting social, cultural, and political changes. For the San Francisco Bay Area, it is argued that the changes brought by World War II were as dramatic as those brought by the gold rush a century earlier. Chuck Wollenberg author of Marinship at War will be here. 2017 is the 75th Anniversary of the establishment of a bustling wartime shipyard called Marinship in Sausalito. Innovation, ingenuity, and inspiration all played a part in the day to day routine. Join a Bay Model Ranger on a 2 - mile walking tour of the area surrounding the Bay Model to experience what life was like in the shipyard from 1942 - 1945. World's Most Amazing Shipyard is a new documentary created by local filmmaker Eric Torney to mark the 75th anniversary of Sausalito’s Marinship shipyard. Built at the onset of WWII, Marinship launched 93 Liberty ships and tankers before the end of the war. 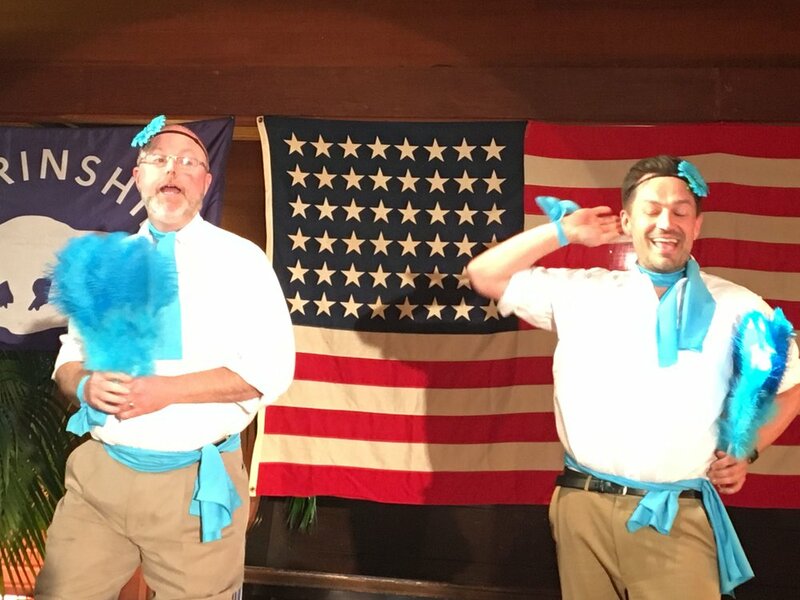 Christ Episcopal Church presents "Bob Hope and his USO Show"
Bob will be there in spirit as the members of CEC recreate the important role played by the USO. Join a Bay Model Ranger on a 2 mile walking tour of the area surrounding the Bay Model to experience what life in the shipyard from 1942 - 1945. Dress in layer, wear comfortable walking shoes, bring water and a snack. Rain cancels. In commemoration of the 75th Anniversary of Marinship, the WWII shipyard once located here in Sausalito, the Bay Model Visitor Center presents Liberty Ships and the Lesser Known Facts. Over the years Liberty Ships have become and icon of WWII. We know a lot about the shipyards, the Liberty Ships and the people who built them, but there is more to this story that has gotten lost in time. The Sausalito Woman's Club will join in on the community Commemoration of the 75th Anniversary of the establishment of the Sausalito Marinship, during WW II, which employed over20,000 Americans, built 93 ships - 15 Liberty cargo ships, 62 tankers and 16 oilers. The program will include excerpts from a 1942 radio show broadcast"Turn Your Radio On "
with the workers at the shipyard and shipyard song & dance entertainment…. anchors away ! Join Ranger Joanne on a 2 mile walking tour of the area surrounding the Bay Model to experience what life in the shipyard from 1942 - 1945. Originally a 16mm film, Tanker was produced by the Marinship Corporation in 1945 to document Sausalito’s WWII shipyard and recognize the thousands of workers who built cargo vessels and tankers for the war effort. The film received its first showing at the Marin Theater on Caledonia Street. We’ll be watching a restored digital version. Representatives from the Sausalito Historical Society will be on hand to answer questions after the screening.